Since his appointment in 2014, New Zealand head coach Anthony Hudson has been keen to stress the importance of the OFC Nations Cup, which also doubles as the second stage of the Oceania qualifiers for the 2018 FIFA World Cup Russia™. Hudson’s squad includes plenty of experience with the likes of Chris Wood, Rory Fallon and Michael McGlinchey, all of having featured at the 2010 FIFA World Cup™, as well as young talent in Marco Rojas, Bill Tuiloma and Kip Colvey. As the region’s top ranked side the All Whites certainly have the favourites tag wrapped up. However, he 35-year-old Englishman insists he doesn’t want a repeat of what has become known as the “Horror in Honiara”, when the All Whites suffered an upset 2-0 loss to New Caledonia in the semi-finals of the 2012 OFC Nations Cup in the Solomon Island. Desperate to make amends for their failure four years ago, Hudson says his side will go into their opener against Fiji with cautious confidence. The All Whites will face a Fijian side that is growing in confidence following a history making year for the game in the country. In the past 12 months Fiji have made their debut appearance at the FIFA U-20 World Cup before qualifying for the Men’s Olympic Football Tournament in Rio. Following these milestones at youth level, Fiji’s senior team will be keen to prove another point. Coach Frank Farina’s squad, which is headlined by Wellington Phoenix striker Roy Krishna, is littered with young talent including 12 players from the Olympic team. The former Socceroos coach says his side is ready to take on the All Whites. In the day’s second match both Vanuatu and the Solomon Islands will be out to open their campaign with a win. Vanuatu failed to qualify for the semi-finals at the 2012 event in Honiara and a defeat in their opener could seal their fate again. Experienced coach Moise Poida will mainly rely on local Premier League clubs, with eight of his selection coming from Erakor Golden Star FC and five more from another Port Vila based side, Tafea FC. However, he also included three Solomon Warriors players in his squad, and their recent OFC Champions League experience could be invaluable in the opening Group B match. Vanuatu beat New Caledonia in a one-off friendly in Port Vila in March, which was their only warm-up fixture ahead of the OFC Nations Cup. Despite having limited international matches, Poida says he is happy with the preparations. Meanwhile his Solomon Islands counterpart Moses Toata is also confident of his side’s chances going into the tournament. The Solomon Islanders finished fourth at the 2012 Nations Cup on home soil, but Toata says his current side can do better. The squad is made up of mainly locally based players, with the exception of Auckland City striker Micah Lea’alafa. The Solomons completed their preparations in Sydney with the assistance of new technical advisor Ramon Tribulietx, who brings valuable regional experience to the squad as a result of his six consecutive OFC Champions League titles with Auckland City FC. Toata believes the preparations will stand his players in good stead in Papua New Guinea. The OFC would like to acknowledge its partners Telikom PNG, iRENA, and its supporters Drem Inn, Tru Tru Wara and NCDC – The City of Port Moresby. The players: Captain Chris Wood will lead the All Whites potent front line which also includes talismanic striker Rory Fallon and A-League high-flyer Kosta Barbarouses. Wood is a clinical finisher, who is noted for his technique and movement. The Leeds United target-man is also well known for his physical attributes and is capable of carrying out the lone striker’s role if needed. 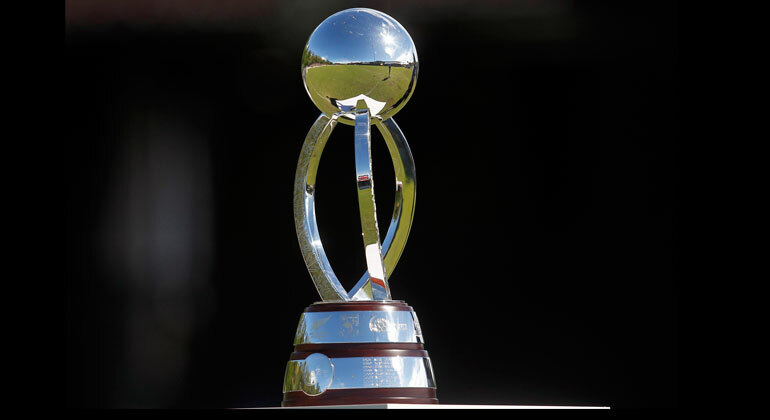 The vital statistics: The All Whites went into the 2012 OFC Nations Cup in the Solomon Islands as favourites, however the statistics suggest that they had trouble adjusting to the local conditions. They only managed to score four goals while conceding twice in their three group games before a 2-0 semi-final defeat to New Caledonia. The players: Striker Roy Krishna is Fiji’s most high profile player and his form could have a significant impact on how far his team will go in the tournament. Playing for Wellington Phoenix, the 28-year-old will also have some insight into the All Whites heading into the opener. At the back, Fiji will look at the leadership qualities of experienced central defender and Olympic team captain Alvin Singh. The vital statistics: Fiji have a poor head-to-head record against the All Whites with 27 defeats, four draws and just five wins from their previous 36 games since 1951. However, in their last meeting at the 2012 Nations Cup, Fiji pushed the New Zealanders all the way before suffering a narrow 1-0 defeat. their trade in the Solomon Islands for the Solomon Warriors club side and they will be keen to make the most of their inside knowledge. Meanwhile in-form midfielder Bill Nicholls is fresh from scoring the winner in last weekend’s Port Vila Football Association Cup final for club side Tupuji Imere. The vital statistics: Vanuatu’s regional record suggests they often struggle at the later stages of their campaigns. In their eight previous OFC Nations Cup tournaments Vanuatu have reached the last four on four occasions, however they are yet to finish in the top three. The players Auckland City FC striker Micah Lea’alafa is primed to play a key role in his side’s campaign. The 24-year-old is high on confidence following his eye-catching exploits at last month’s OFC Champions League tournament in Auckland. Lea’alafa’s big game credentials were underlined by his starring role in the final against Team Wellington. In his man-of-the-match performance he scored two goals, played a vital role in the third and was a constant threat down the right flank. Lea’fala will be well complemented by experienced attacking pair Benji Totori and captain Henry Fa’arodo in the Solomons front line. The vital statistics: The Solomon Islands are placed 17 positions below Vanuatu in the latest FIFA World Rankings and Moses Toata’s men have not beaten their Melanesian counterparts in their previous four meetings. They lost their previous two matches 2-0 and 1-0 respectively.